I'm a lifestyle blogger based in SF. I love beauty, style, & travel / exploring locally + abroad. 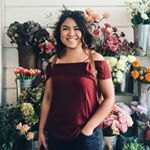 I write about products + experiences that I love & aim to build a community centered around living a fun, meaningful life.